So as this is my first post it seems fitting to list a few interesting facts about Marijuana (or cannabis, pot, reefer, ganja etc), which you may, or may not, know about. Marijuana has been around since prehistory. It rose significantly in popularity during the 60s and 70s with the advent of the hippy movement and has been chilling people out ever since! 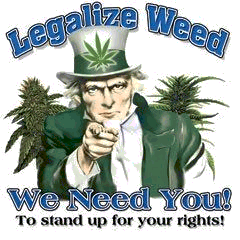 Today, Marijuana is America’s #1 cash crop, estimated to be a mind-blowing $38bn-a-year industry. To put that into perspective: the value of the corn crop in the US is $23.3 billion, and wheat is just $7.5 billion. The active ingredients in the plant which makes you high are called THC and CBD. It is a psychoactive drug which is made up of dried buds and leaves from the female plants. The effects of smoking Marijuana are almost immediate. The smoker can experience a faster heartbeat and pulse rate, bloodshot eyes and a dry mouth and throat, commonly leading to a common problem in pot smokers called ‘the munchies‘. The first recorded use of Marijuana originates from China in 2727BC, where they used it for medicinal purposes. 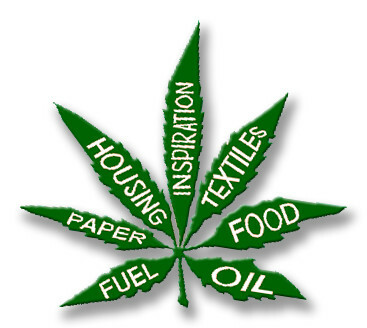 Check out this fun video out for a very potted history of pot. The US Declaration of Independence was written on hemp paper. George Washington and Tomas Jefferson both grew Marijuana on their plantations. So there you go, crazy stats about a crazy plant. My philosophy is: if it grows out of the ground then how dangerous can it be? Free the weed and your mind will follow!